What’s the best first time home buyer mortgage? There are several different mortgages available to first time home buyers. Since many first timers are young and may not have tons of cash saved up, a FHA loan is a great option for a low down payment mortgage. The minimum required credit score is just a 580 and you only need to pay 3.5% of the home’s purchase price as your down payment. So if you buy a $200,000 home, your required down payment comes to just $7,000. Compare that to a conventional loan which typically requires up to a 10% down payment. That would come to $20,000, not an easy sum for many young buyers to save. FHA loans do, however, require a premium mortgage insurance (PMI) since you own less equity in the home. It involves an upfront charge of 1.75% of your loan amount that is usually rolled into closing costs. Then there is an annual fee of 0.85% of the loan amount, which is divvied up and included in each month’s mortgage payment. If that sounds like too much, you might also consider a startup lender such as Movement Mortgage. How can you qualify for a mortgage? Qualifying for a mortgage requires steady employment, low levels of other debt, and good credit. Lenders typically want to see at least two years of work history. It doesn’t necessarily have to be at the same job but should be in the same industry. Also take a look at how your debt compares to your income. Lenders use a formula called the debt to income ratio to determine whether or not you qualify for a mortgage. They look at all of your monthly debt obligations, like car payments and credit card minimums, and then add on your new mortgage payment (including taxes and homeowner’s insurance rather than just principal and interest). Then they divide that total by the amount of pre-tax income you earn each month. Say your monthly debt payments come to $1,500 and you earn $4,000 a month. Your DTI comes to 37.5%. Most lenders want your DTI to be under 43% so, in this scenario, your debt level looks good. Finally, lenders review your credit report and credit score. Minimum requirements vary depending on the loan company, but the better your credit, the better interest rates you’ll receive. What is Homepath renovation mortgage financing? In the past, mortgage backer Fannie Mae offered a HomePath renovation mortgage to help finance distressed properties that might otherwise not qualify for a traditional loan. It helped borrowers receive financial assistance with repairs; however, the program was discontinued in 2014. Now, Fannie Mae offers the HomeStyle renovation loan to help current homeowners finance the home improvement process in their home. You can select just about any home improvement, like a new roof, an upgraded kitchen, or even a pool. Another nice feature is that it can be used for your primary residence as well as vacation homes and investment properties. A mortgage refinance pays off your original home loan while giving you a new loan with completely different rates and terms. Depending on when you bought your home, you might be able to save money on your monthly payment by qualifying for a lower interest rate. 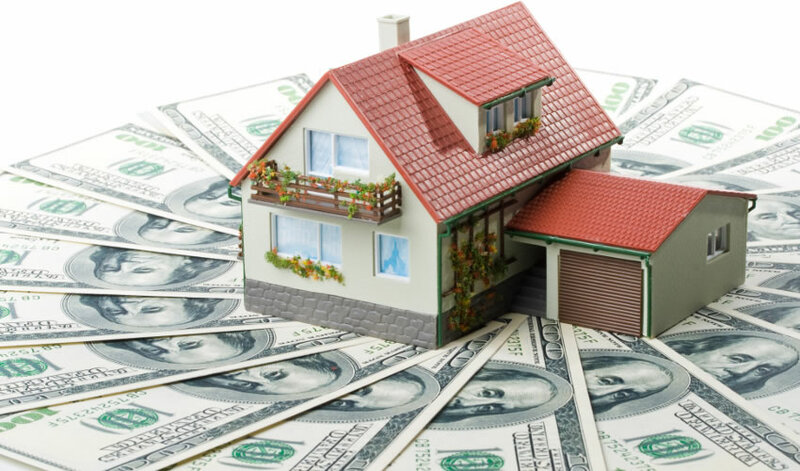 If you’ve gained equity in your home, you could also apply for cash out refinance where the new loan is for a higher amount, and you receive cash funds for a predetermined amount of your equity. You can negotiate your loan terms but the most successful repayment period for mortgages is 30 years. So take into account how long you’ve been in your house and how much longer you plan to be there before making a decision. A refinance application is a similar process to your original home loan application. You’ll need to submit your financial and credit information to make sure you qualify for the new loan terms. Lenders also require a new appraisal to ensure the home is valued at the correct amount. Remember that you don’t have to work with your original lender; in fact, it’s wise to shop around for offers to make sure you receive best mortgage rate available. Reverse mortgage solutions provide a suitable option for seniors with substantial equity in their home. To qualify, you must be at least 62 years old. While the home is in your ownership, you are required to pay and stay current on property tax and homeowner’s insurance. Rather than making payments on your home to the lender each month, you instead receive funds from the bank. The money isn’t required to be paid back until the property is sold or vacated. If you pass away, the lender typically sells your home to recover the cost of the loan. When you take out a reverse mortgage, there are several payment options. You can receive tenure payments, which constitute an equal amount of money for as long as you live and occupy the residence. You can also choose a term payment, which is a monthly payment for a predetermined period. Alternatively, you could receive a line of credit or a lump sum. Just remember to consider any tax implications with any choice you make. What are options for mortgage loan modification? Many home loans are eligible for an adjustment if you as a homeowner fall behind on your payments. A traditional modification is an agreement between you and your lender that alters your loan terms. This could include your loan term, interest rate, or even your monthly payment amount. To qualify, you may not be eligible for a refinance, and you must be facing a financial hardship that is unlikely to go away soon. A mortgage loan modification can be a helpful way for homeowners to avoid foreclosure and get back on their financial feet without losing their home.